An earthquake is a trembling or a shaking movement of the ground, caused by the slippage or rupture of a fault within the Earth's crust. A sudden slippage or rupture along a fault line results in an abrupt release of elastic energy stored in rocks that are subjected to great strain. This energy can be built up and stored over a long time and then released in seconds or minutes. Strain on the rocks results in more elastic energy being stored which leads to far greater possibility of an earthquake event. The sudden release of energy during an earthquake causes low-frequency sound waves called seismic waves to propagate through the Earth's crust or along its surface. Every year more than 3 million earthquakes take place, most of these unnoticed by humans. In contrast, a severe earthquake is the most frightening and catastrophic event of nature which can occur anywhere on the surface of our planet! Although usually lasting only seconds, a severe earthquake in a densely populated area may have catastrophic effects causing the death of hundreds of thousands of people, injuries, destruction and enormous damage to the economies of the affected area. Hundreds of thousands of people have been killed by earthquakes despite scientists being able to predict and forewarn in advance and engineers construct earthquake-safe buildings. Unfortunately earthquakes occur often in countries which are unable to afford earthquake-safe construction. Besides the immediate, obvious threat presented by an earthquake, it can also set off several other natural hazards. 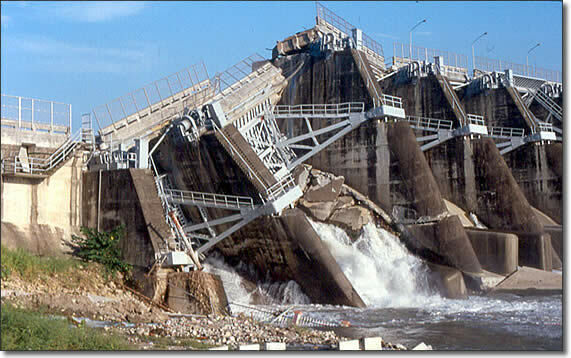 The energy release resulting from earthquakes can easily trigger slope failures. A tsunami may be formed which causes flood on coastal areas. These events occur along with volcanic activity, resulting in even more potential danger.